Iconic images of sun bronzed surfers gazing seaward across empty beaches have become as synonymous with Australian culture as Parisians dancing beneath the Eiffel Tower for the French or couples kissing in Times Square for the Americans. Such photographs do not appear by chance; they require an acute eye to recognise the importance of the moment and point the lens. 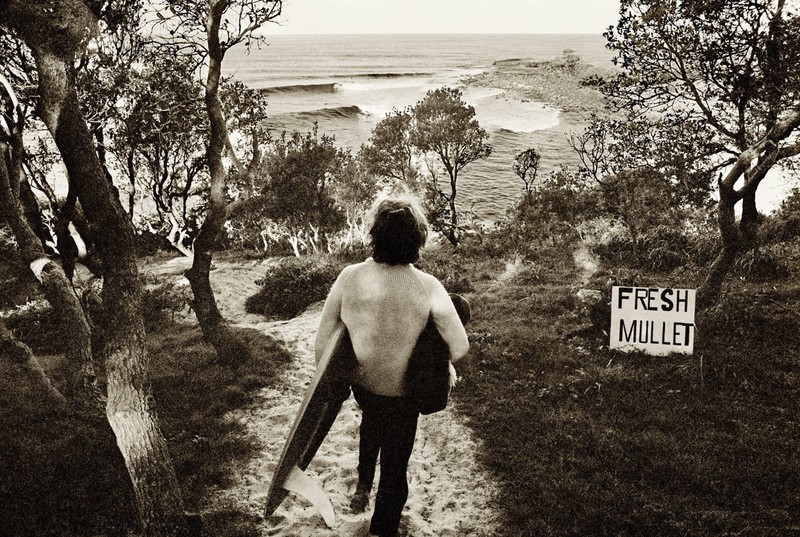 Such a photographer is John Witzig, who first started documenting surf lifestyle in the 1950s. John’s substantial body of work is being revisited at Ripped Off, an exhibition to be held at the Coffs Harbour Regional Gallery throughout Autumn. The exhibition is a re-imagining of John’s images by artists Robert Moore, Gerry Wedd, Jon Campbell and Ozzie Wright, who have been given access to his considerable library of work. John Witzig is also contributing new work. John Witzig and his brother Paul spent their early years traveling up and down the eastern seaboard, surfing and photographing their friends. The Witzig brothers and film-maker Albe Falzon were co-founders of Tracks magazine, still an internationally renowned ‘bible’ of surf. For Ripped Off, John has created a new version of Tracks. (Paul and Albe both featured in Coastbeat Spring 2018). Moore himself is an artist from the early days of Mambo graphics in the 1980s and ‘90s. Moore still features Holdens, utes and cattle-dogs, but now in a looser, more abstract style on canvas. For Ripped Off he has taken Witzig images and rendered them as impressionistic paintings to capture the mood and tone of the originals. Moore’s work literally drips with colour. 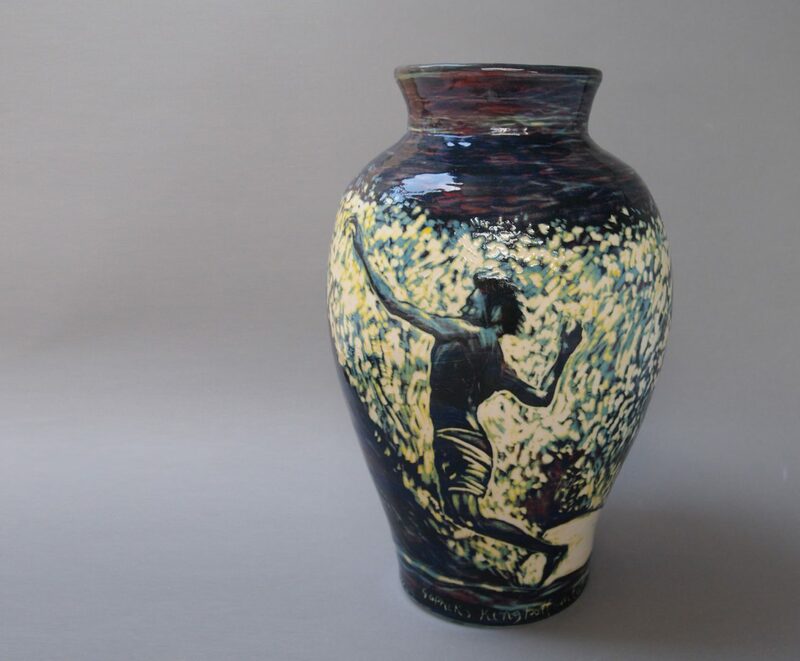 Gerry Wedd also designed for Mambo, and the satire of Mambo informs his strikingly beautiful ceramics, making the contrast of traditional medium and social commentary both humorous and powerful. 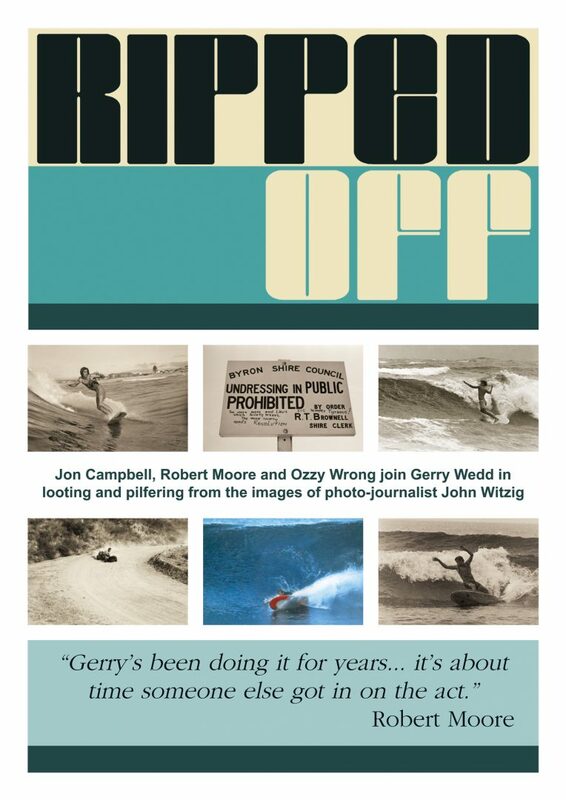 It was Wedd’s appropriation of Witzig imagery that became the catalyst for Ripped Off. Artist and surf-hound Ozzie Wright often exhibits as Ozzie Wrong, spinning out loud and proud social commentary in paintings, sculpture, film, ceramics, clothing and surfboards. Ozzie works in a weird zone where space fantasy meets surf psychedelia, with a lot of love in between. Jon Wright is a Melbourne artist and musician known for his abstract renditions of Australian slang sayings. He produces big, colourful canvases, posters and lightbox images that take the clichés and throw-away lines of Australian pop and turn them into art, asking the viewer to stop and consider who we are through what we say and how we say it. All of the artists featured are collected internationally and have works held in the major Australian galleries.